We've had a busy couple of weeks. Between packing to move, coordinating repairs on the house we are selling, and me working / school work for Steve - it's been intense. If everything goes as planned we will be driving away in our moving truck next Wednesday. I'm excited! Dying to try this braided ribbon hairstyle. I think these are the perfect shoes for every summer occasion. 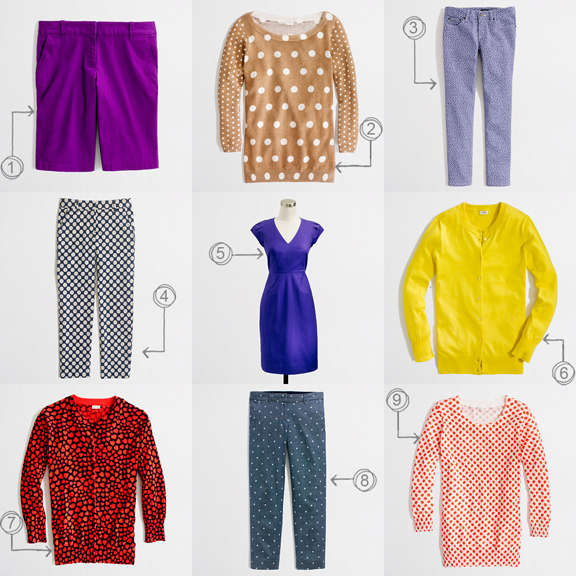 Did you see the crazy sale going on at J.Crew Factory? Loving this coral statement necklace. I think this DIY shift dress is the cutest. 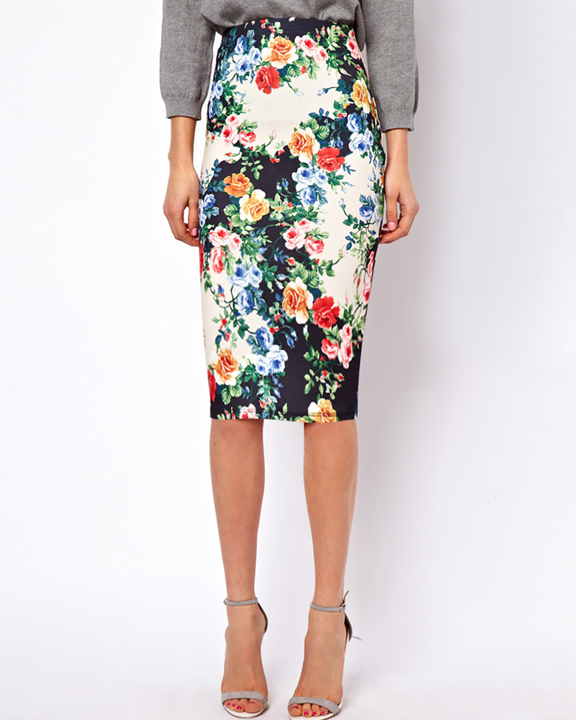 This basic pencil skirt is perfection. We are going to be packing and getting ready for the move this weekend. What are your plans? I secretly love dressing in red white and blue for the fourth. It's the only holiday I dress for, but I just can't help myself. 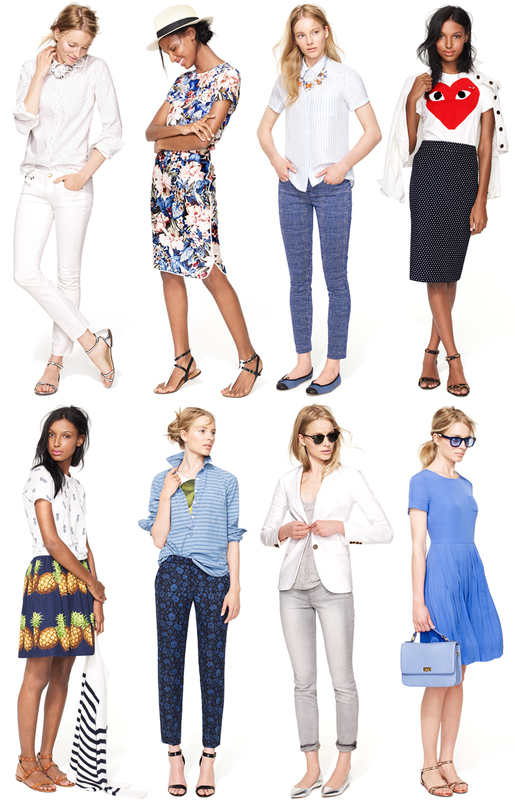 I love these looks from J.Crew with a subtle nod to red white and blue. I especially like the floral pants, metallic sandals, and white blazer. So chic! Speaking of J.Crew, they are offering an extra 30% off any purchase with code SUMMER30. Please take a moment to check out my newest sponsor, Lisa Barbero. Lisa makes modern art that lifts the spirit, warms the heart, and even tickles your funny bone. Professionally printed with archival pigment inks on tree free, museum quality, 100% cotton rag velvet fine art paper. Each piece is handmade for the world's dreamers, little ones & hopeful romantics. 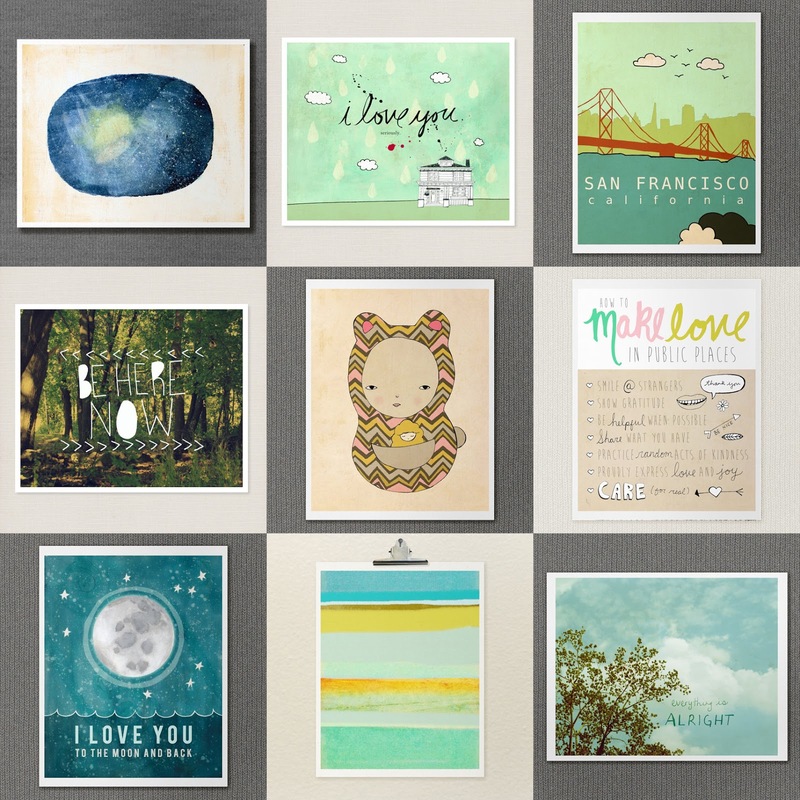 Add some extra awesomeness to your special space! I'm partial to #3 & #6. What's your favorite pair? I have a thing for fonts. As a kid, I used to spend my spare time at our Windows 3.1 computer playing in paint and marveling at how cool the brush script font was because it looked so unlike all the other computer fonts. My tastes have come a long way, but I still love a good font that has hand drawn qualities. I have been collecting some of my favorite fonts with those qualities and I wanted to share them with you. 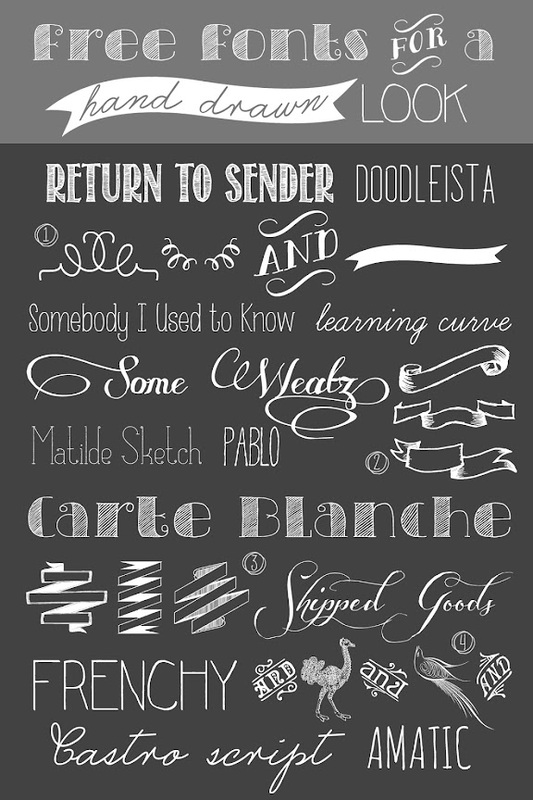 Click here to see all my free font posts. 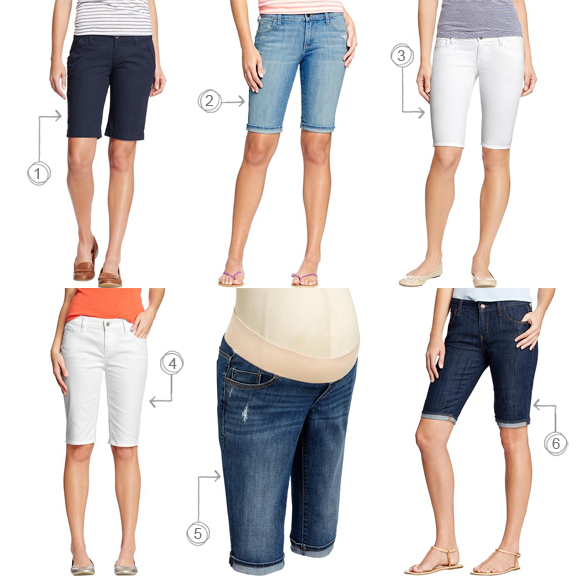 I recently got an email from Gap proclaiming the hotness of coral this summer. I have to agree. Are you wearing coral this summer? Today's post is from Crystal who lives in downtown Provo, Utah with her husband and her two adorable girls, Savannah and Emory. 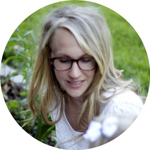 Her first delivery was an unexpected c-section and her second was a natural VBAC. 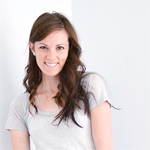 She blogs over at HEY COOBABE. 1. After my first c-section delivery with Savannah all I wanted to wear were PJs. 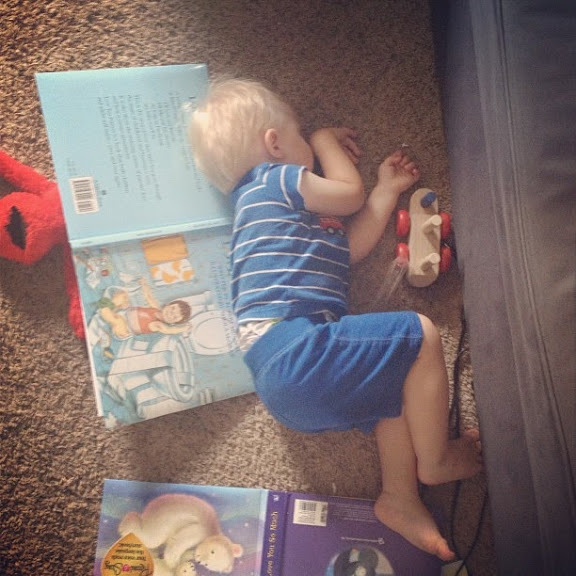 I was spending a lot of time lying down because recovery from my surgery was something I hadn't anticipated. I just wanted to be comfortable. I don't know about you but all of my PJs at the time consisted of old camp t-shirts, borrowed husband's sports shirts, and ill-fitting mismatched pajama pants/sweats. I felt and looked pretty disgusting until I stocked up on some cute pajama sets! Let me just say that I am in no way condoning wearing PJs out in public. But, I think it is perfectly suitable to wear them in the comfort of your own home. Besides, most adult interaction you will get in the first weeks after having a baby will be visitors coming to YOUR home. Why not look cute and comfy? 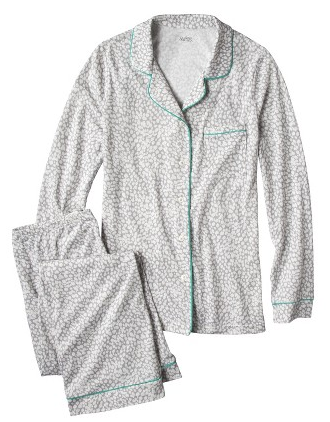 I own these pajamas (pictured above) and changed into them in the hospital after delivering Emory. 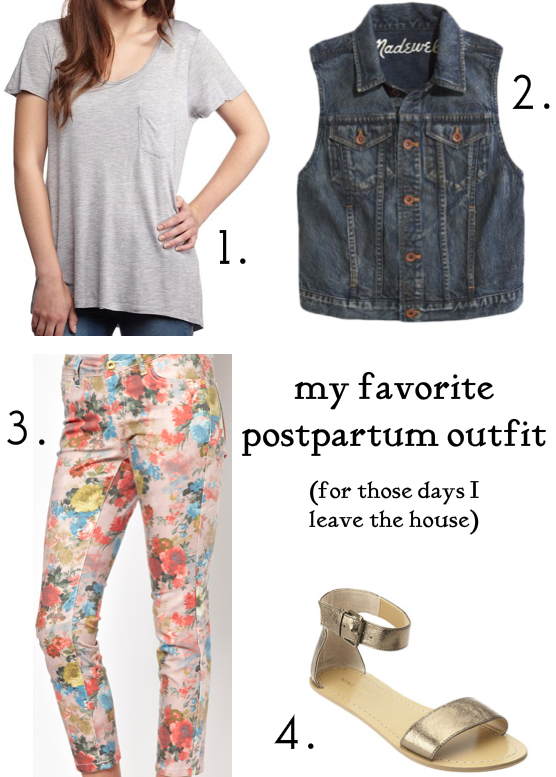 The buttoned top is great for nursing and it's an easy and practical way to feel put-together after having a baby. These, these, and these make great options too. 2. My favorite accessories after having a baby are simple hair clips and ties. I mean doesn't that sparkle clip make that messy bun up there look more cute and less sloppy? I am the type of person that feels prettiest when my hair is done. I'm talking blow dried and curled kind of done. But honestly, it's difficult to find the time and energy to do my hair while constantly meeting the demands of my girls. 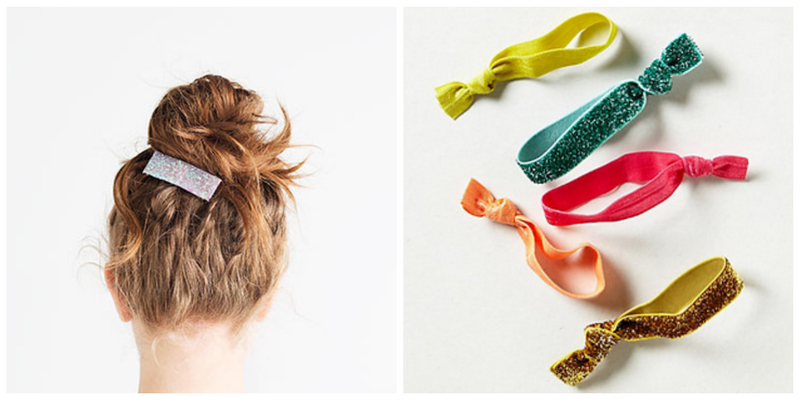 Most often you will find me with my hair up or back with a fun clip and/or tied with a bright hair tie. I own these elastic hair ties (pictured above) and constantly have one in my hair or on my wrist (which is convenient for pulling my long hair back during nursing sessions). Today only! 30% off sale items at Gap. Here are a few good ones. The chambray button up and frenchie sweater are especially tempting to me. What do you have your eye on? Don't forget to enter GAPSALE at checkout to get the discount. Make sure to enter HURRY at check out. 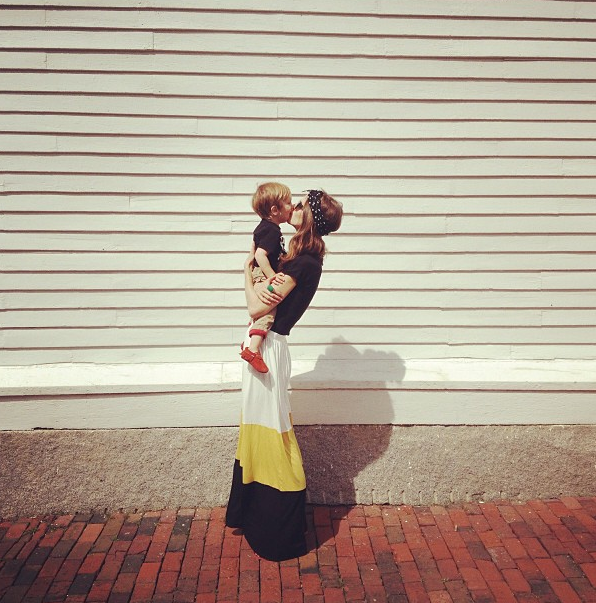 I'm really excited to have Grace of Camp Patton for our next postpartum style post. Grace is wife to Simon - an OB-GYN resident by day and night. She stays at home with Julia, Sebastian, and Theodore (her three kids under three) and is always on the hunt for some quiet, sanity, and a Top 40 hit to bump on the family friendly vehicle's radio. I've only had to deal with draping the postpartum bod in the colder months so I apologize if this is irrelevant to you and yours as I imagine it just might be considering that it is JUNE. I thought the reason I'd have a tough time fitting into pre-pregnancy jeans during the postpartum season of fun would be the tuft of leftover stomach swell but I was sorely and sadly mistaken. Don't get me wrong - the stomach swell was there and was happy to be hugged by maternity panels for several weeks post-delivery. However, I was NOT prepared for my hips to stay in the birthing position of WIDE for um ever post-baby. I've had two babies since then and I think my hips are probably not going back to pre-baby position which is totally fine and why God created denim with a touch spandex. I'll never ever forget waiting two "whole" postpartum weeks before trying on a pair of jeans and wilting into a puddle of depression when they barely made it past my knees. Rookie mistake that I'll never make again unless we're talking jeggings or jeans that I haven't washed and dried back into original intended size in months. I know a lot of people can get away with never wearing any maternity clothes but I am not one of them and I love maternity pants and while I'm happy when I don't have to wear them anymore I don't mind wearing the right pair for as long as I need postpartum. I was looking for my cardigan to go on a walk with the kids the other day when my two-year-old told me to "just wear your best!" because I am a bit of a vest addict. someone order this girl some Variety (size Venti), please. 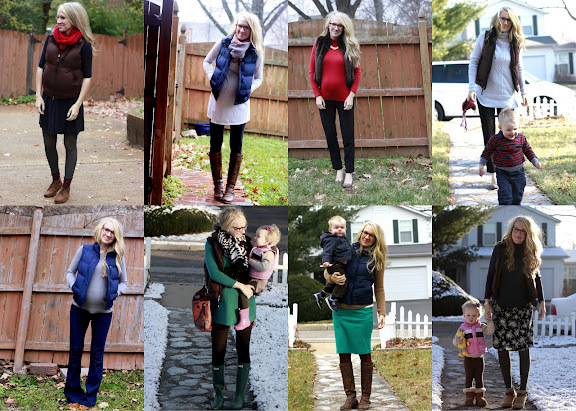 Vests are my favorite along with dark stretchy pants (leggings, jeggings, yoga, maternity or not), and long shirts and sweaters. Pregnant and freshly not pregnant. 1. Black Pants: (worn here) these are lightweight enough to wear in the spring and fall (probably not the summer unless you reside/work somewhere that is liberal with the a/c) and are flattering and tight enough that you don't feel weird wearing them weeks after you've had a baby. I promise. 2. Cardigan: I can't find any online but Old Navy always has great options in the fall. Something that ties is especially awesome to wear over a nursing tank around the house or to the store etc. 3. Puffer Vest: I have great luck on eBay. You will too. 4. Scarf: I'm a serial scarfer. 5. Chambray Tunic: this one is from J.Crew Factory but I found a great one at Forever XXI and I bet it's the kind of thing that will swing back around in the fall. 6. Boots: You don't need Frye boots but Kimmie wrote an awesome post on how to find them on the cheap. I found some on eBay under her tutiliege. 7. Slippers: Sometimes you need to embrace the frump. These moccasins look like loafers with pants and I don't know what I did without them. I know we're supposed to love our bodies and appreciate what they've been put through and I do!! I do, especially after three pregnancies and periods-o-postpartum. But!! I'm not sure anything could've prepared me for the body staring back at me a few hours after I delivered our first baby (and why I will continue my crusade to have mirrors removed from hospital recovery rooms). Eventually everything comes back together and will probably always be a little bit softer and a littler bit different as it should be but until then don't be afraid to slip on your maternities for just as long as your exhausted new mom self needs. A HUGE thank you to Madeline for letting me contribute! This was one of the very first blogs I ever read and if my future self had told my former self that I'd get to write a post for her one day she would've said, "shut! up!" because I used to be mature. ASOS has quite a few modest skirts under $40 right now. Reader, Emily, sent me a link to this super smart product and I sort of fell in love with it. 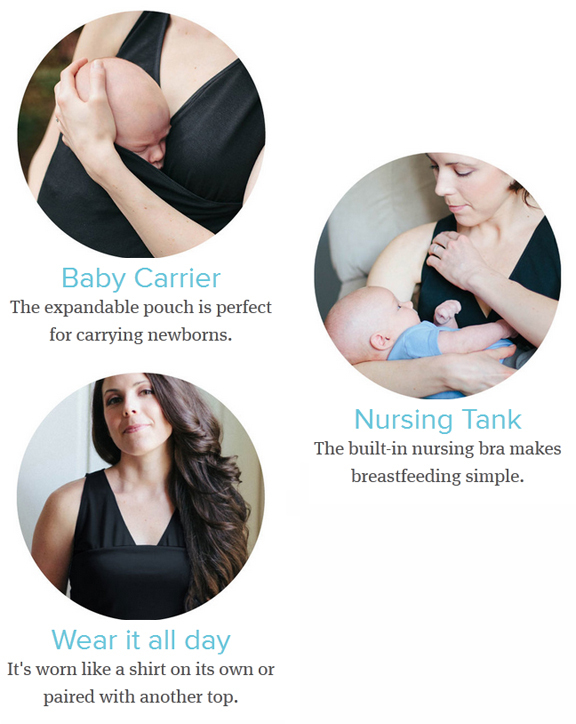 Let me introduce you to the Lalabu tank top and baby carrier. I could seriously see myself living in this thing for the first 3 months after the new baby is born. 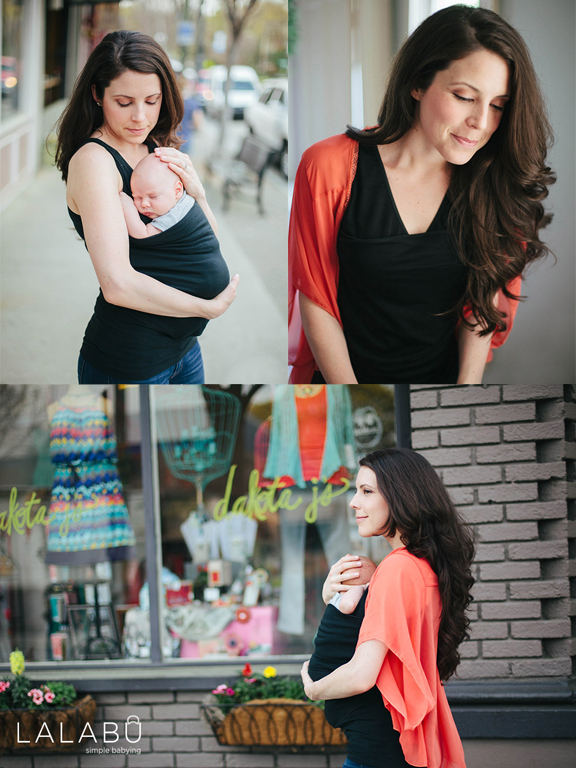 I loved my soft carrier with Tate, but I did not love wrapping 74 yards of fabric around myself every time I wanted to use it. This thing will change a new mom's world. I am partial to the soft grey (shocker!) 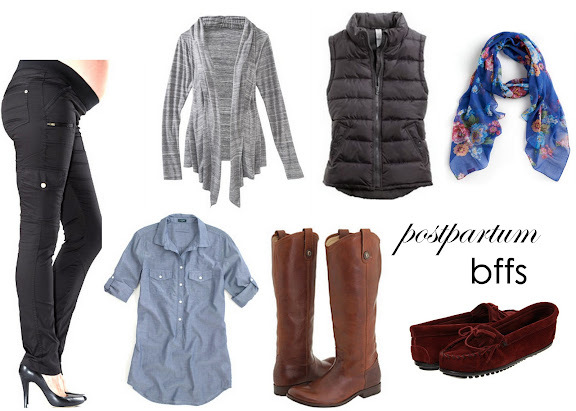 Here are a few other things I would pair with it to make myself feel put together. Lalabu is a new product and is still in pre-production. The indiegogo campaign wraps up this week. If you participate in the fundraising you will be among the first to receive a carrier/top of your own.